Ladies, in honor of denim week, we have something special just for you! Buckle prides itself on having the best brands and favorite jeans, and with such a great selection, finding your ‘perfect’ jeans can sometimes be quite a task and very overwhelming. 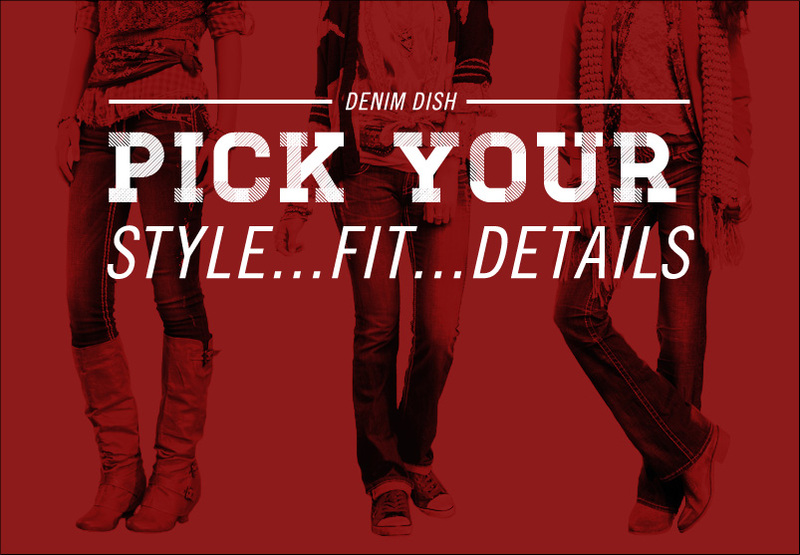 To make denim shopping simple, we’ve created your go-to denim guide, “Denim Dish”. Check it out here! What better way to complete your look then some new tops and shoes? Check out all our newest arrivals on Buckle.com! Vote For Your Fav Denim Brand!